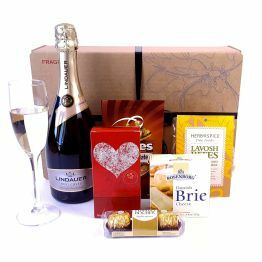 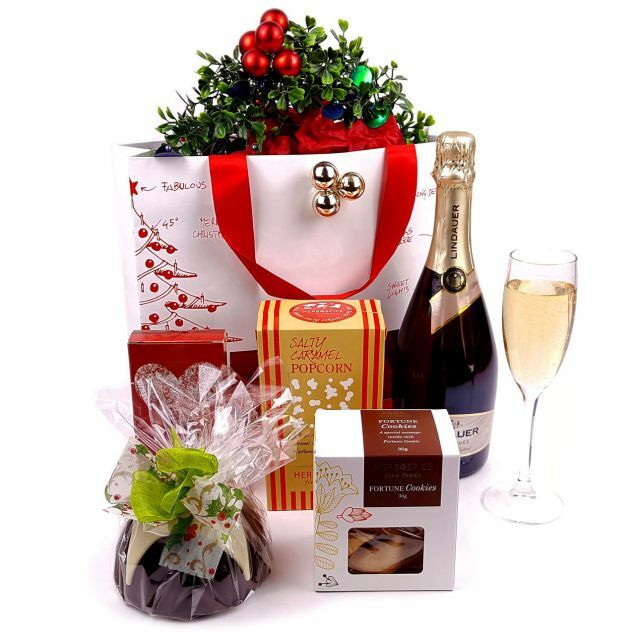 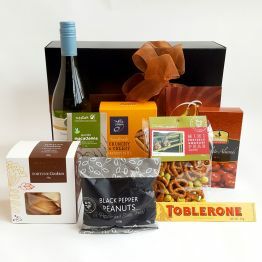 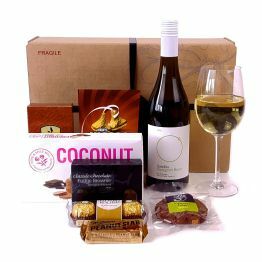 This Christmas goodie bag is filled with delicious treats and Lindauer sparkling wine. 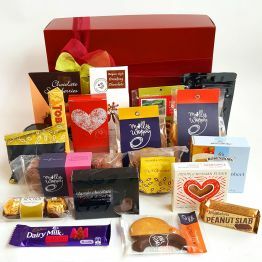 From the fun of the Fortune Cookies, to the indulgence of the Rocky Road Christmas Pudding, and lots more, there is something for everyone. 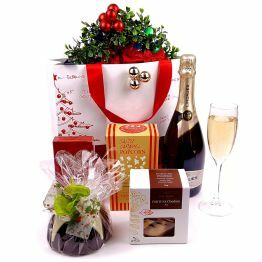 (Christmas wreath is not included). 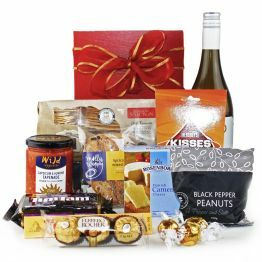 This hamper will earn you 120 Hamper Points.